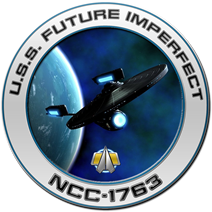 On this episode of “Future Imperfect,” Admiral Phillips warps to the Michigan Science Center #AFTERDARK Star Trek event in Detroit, Michigan. First on the agenda was conversing on the event, and talking with fans. Steve managed to record the 2nd, 3rd and Final Trivia Rounds and checked out more things from the event as a whole. Listen in to hear Steve’s thoughts on the convention. « Don’t Tell Me, Teaser Tuesday?